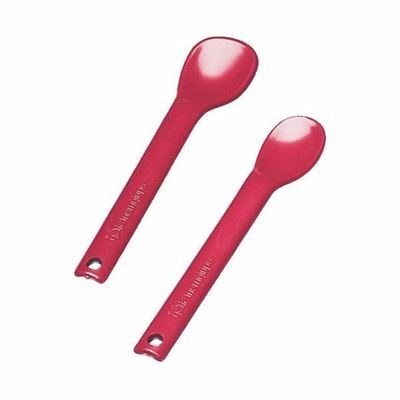 Lightweight plastic spoons in two sizes. 15cm long. Small spoon has a 2.5cm bowl. Large spoon has a 3.2cm bowl. Sold in a pack of ten.